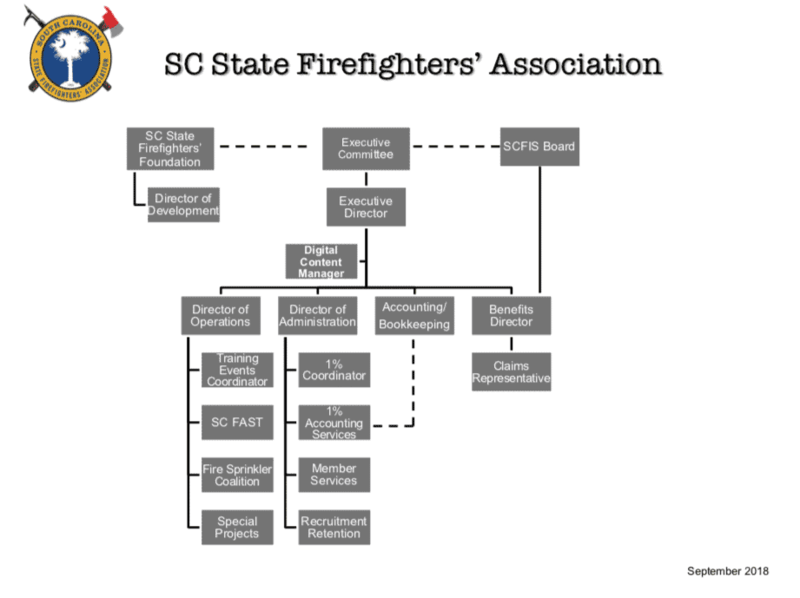 “This is my fight” is a South Carolina State Firefighters’ Association campaign to reach all firefighters, especially the youngest generation. 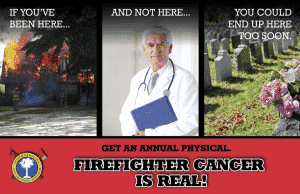 You can win this battle; This is YOUR fight! In the development of this page, we filmed for hundreds of hours. During that time, we did capture some really funny bloopers. Click here to have a laugh on us. 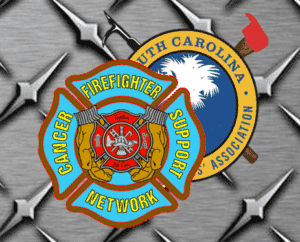 We would like to challenge any department or group of firefighters to share videos of your cancer reduction steps as outlined in the Firefighter Cancer Support Network poster. Post to twitter, Facebook or Instagram with the hashtag #ThisIsMyFight and tag the SC State Firefighters’ Association. Let’s make a difference in the next generation of firefighters. 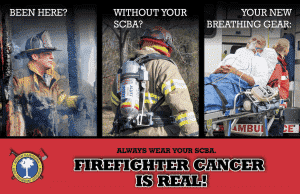 Use breathing apparatus everywhere on the fireground. 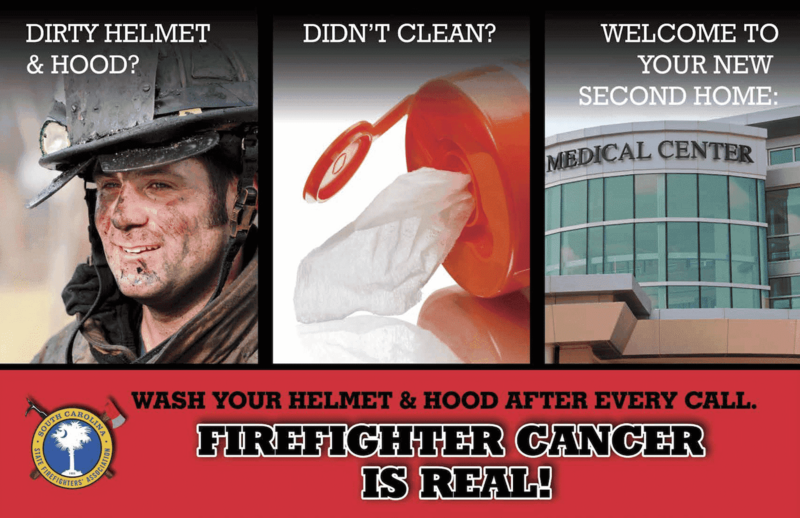 Do gross field decon of PPE to remove as much as possible. Use baby wipes to remove soot immediately. Change your clothes and wash them immediately after a fire. Shower thoroughly after a fire. 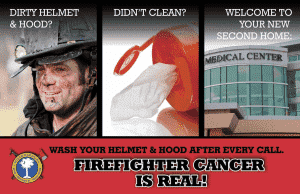 Clean your gear and helmet immediately after a fire. 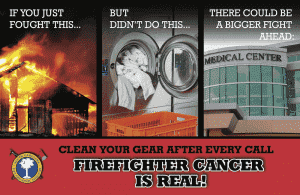 Do not take contaminated clothes or PPE home or vehicle. 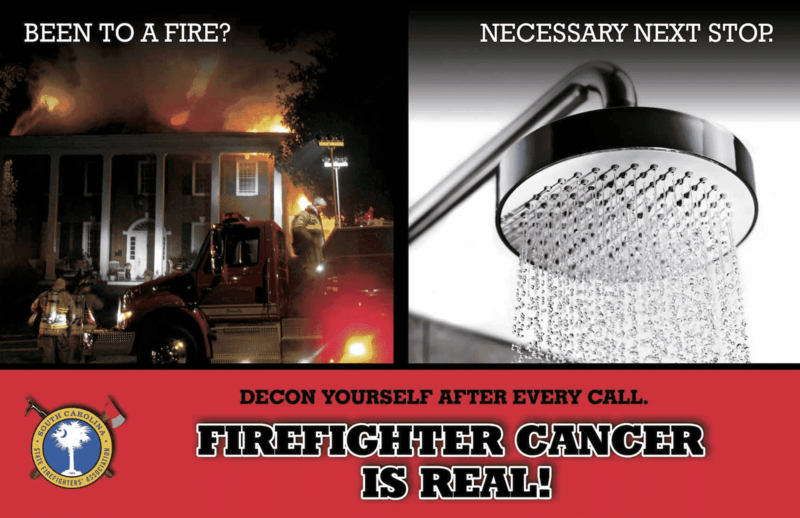 Decon fire apparatus interior after fires. 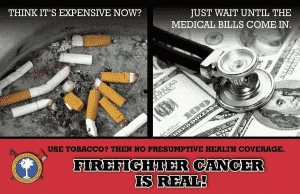 Other actions you can take to reduce risk. If you have been diagnosed with any type of cancer or are a survivor, we want you to tell us. This survey takes only a few minutes but could have a life time of help for others. To access the survey, click here. We would love to recognize your department. 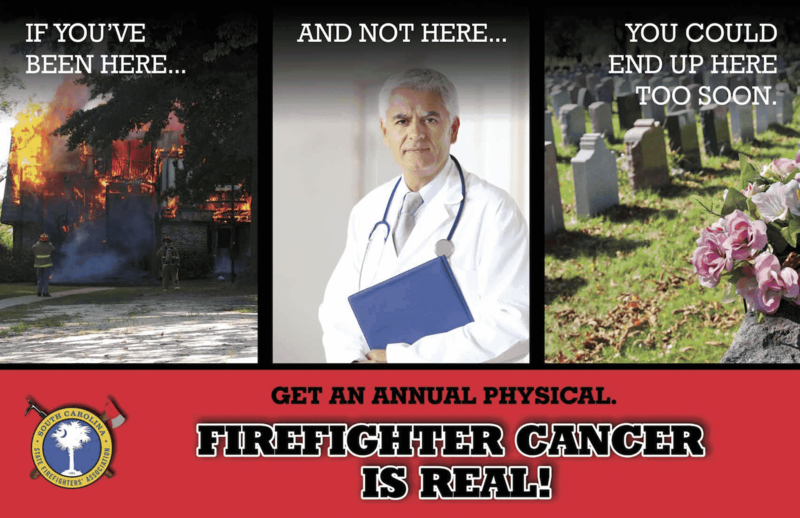 If you have taken steps to educate and eliminate Firefighter Cancer in your department, let us know.